Arthur latched on to an Extreme Sports Team, ‘Team Peak Performance’, during an endurance race in the Amazon Rain-Forest and what happened next will surely melt the hardest heart. 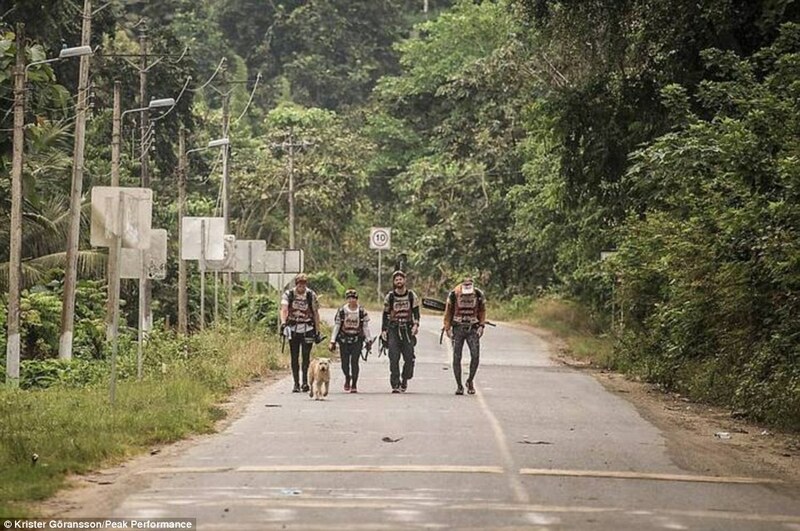 Exhausted, covered in mud and desperately hungry, a team of Swedish athletes sat down for a meal as they prepared to take on a dangerous 20-mile trek through the Ecuadorian rainforest. 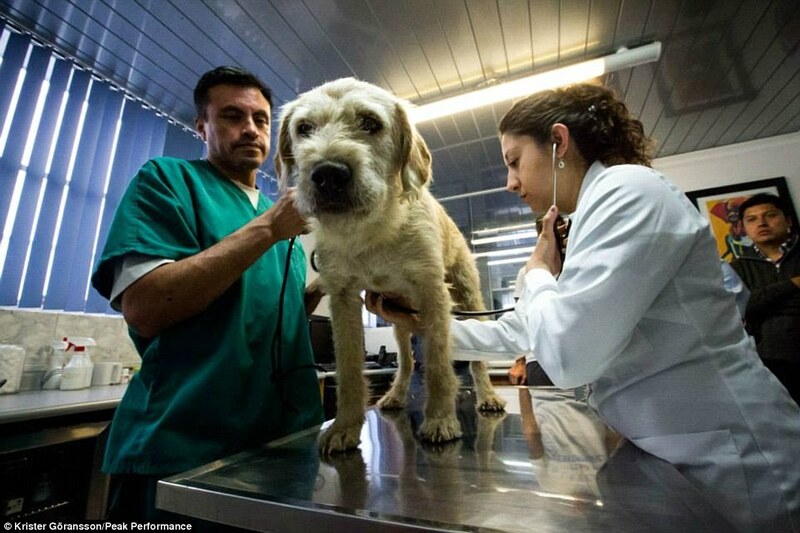 As they opened their canned meat, a tired Mikael Lindnord noticed a scruffy, miserable stray dog staring at him out of the corner of his eye. 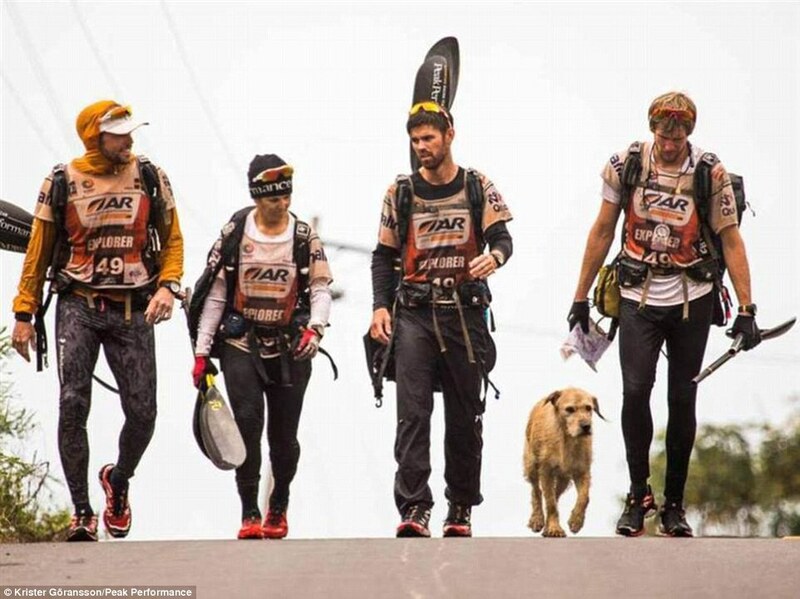 Feeling sorry for him, he fed the dog a meatball and thought nothing of it, but as the team stood up to continue their race the animal started to follow them – and he didn’t stop. 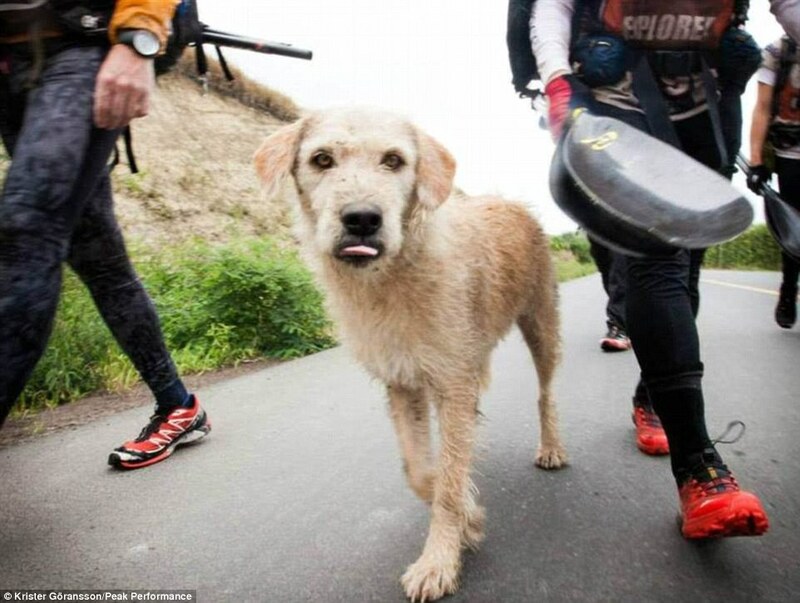 As the group of four navigated the final two stages of the 430-mile Adventure Racing World Championship, the dog befriended them and was eventually given the name Arthur. 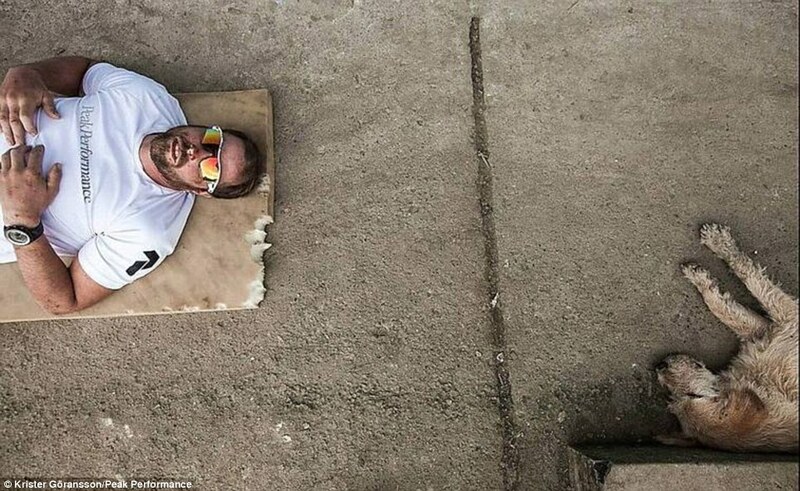 Every grueling task the team face, Arthur would do the same. 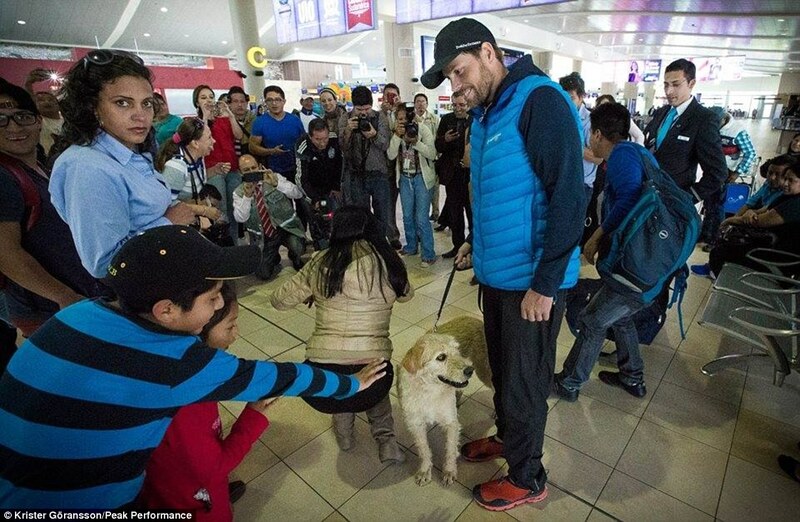 He swam alongside them while they kayaked down rivers, dragged himself up hills during hikes and pulled through knee-deep mud during treks. 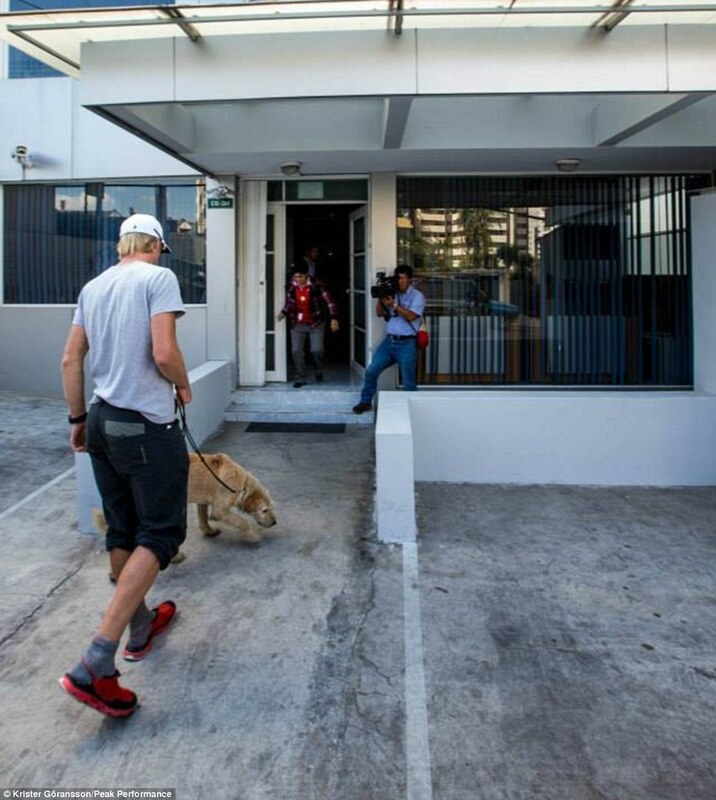 Even when the team tried to get rid of their new member out of concerns for his safety – he refused to leave. This meant when he was tired they stopped for a break and when he got stuck in the mud they pulled him out. 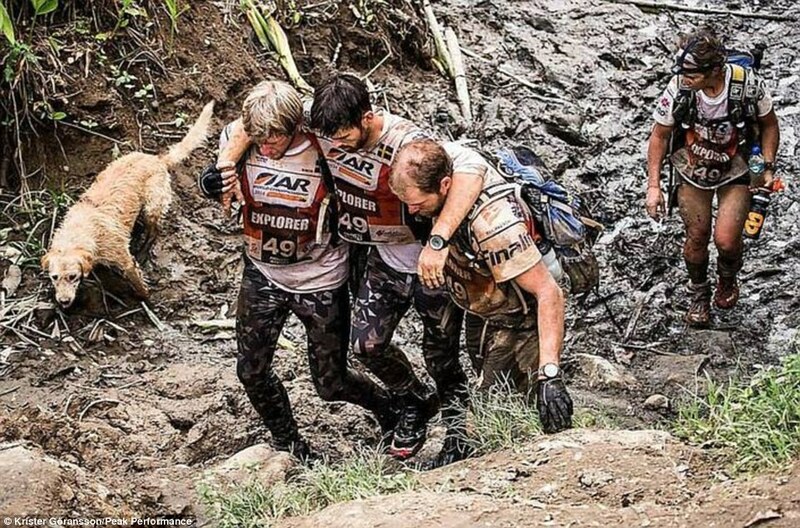 After six days the team finished the race, and the dog had suffered. 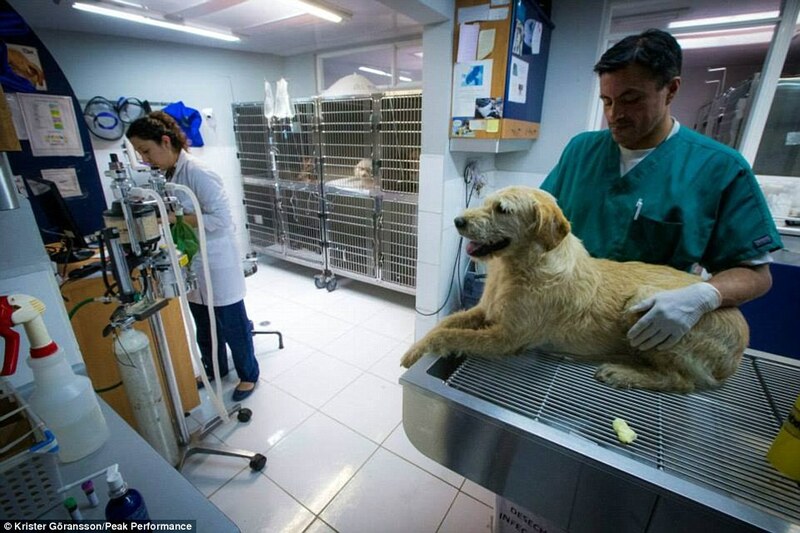 They therefore decided to take him to a vet while still in South America to have him checked out. 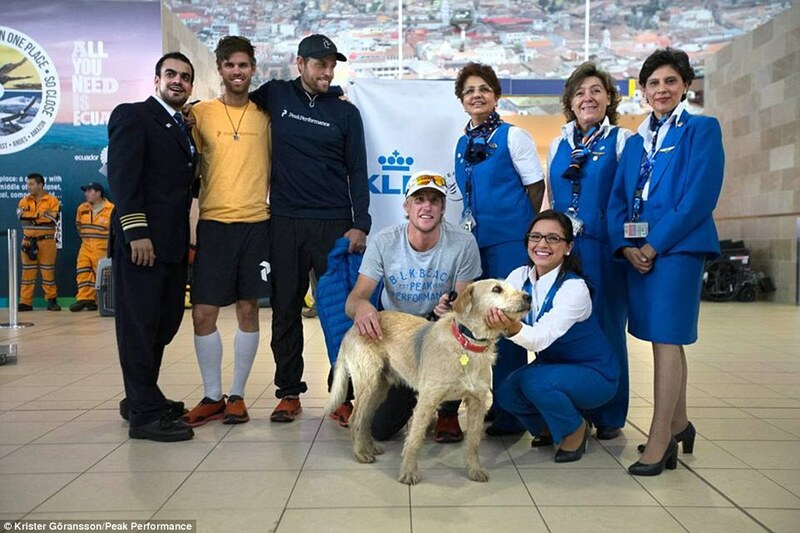 During that time Lindord thought to himself that after their experience, they could not leave Arthur, so he decided to adopt him and take him back to Sweden. He applied to the Jordbruksverket (the Swedish Board of Agriculture) and was made to wait to see if his application was successful. 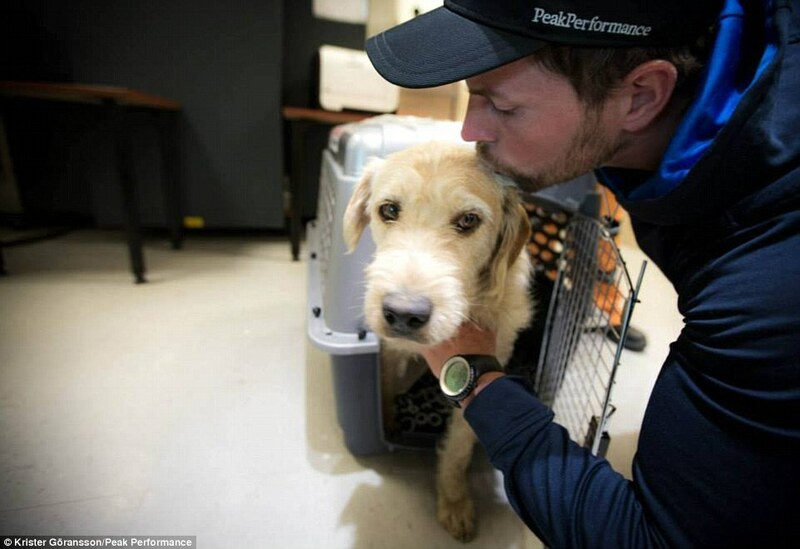 After a tense few days, the team arrived at the airport with Arthur and boarded the plane with him back home. Adventure Racing is a form of extreme sport that combines continuous hiking, trekking, mountain biking and kayaking over a successive number of days. The world championships held in Ecuador covered three diverse geographical regions – the Andes, the Pacific and the Amazon rainforest. 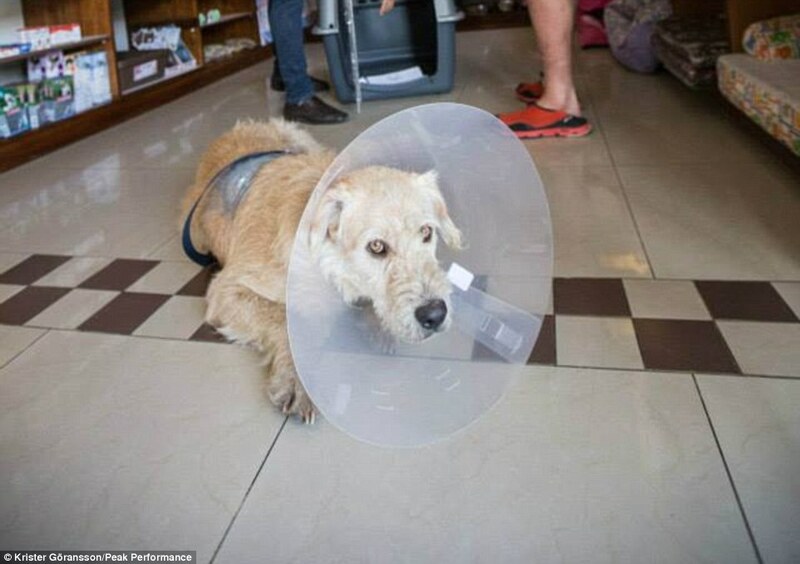 Lindord told Swedish news site Aftonbladet: ‘I had just opened a food pack when I saw a scruffy miserable dog in the corner of my eye. ‘I thought he was hungry and gave him a meatball. Then I thought no more of it. 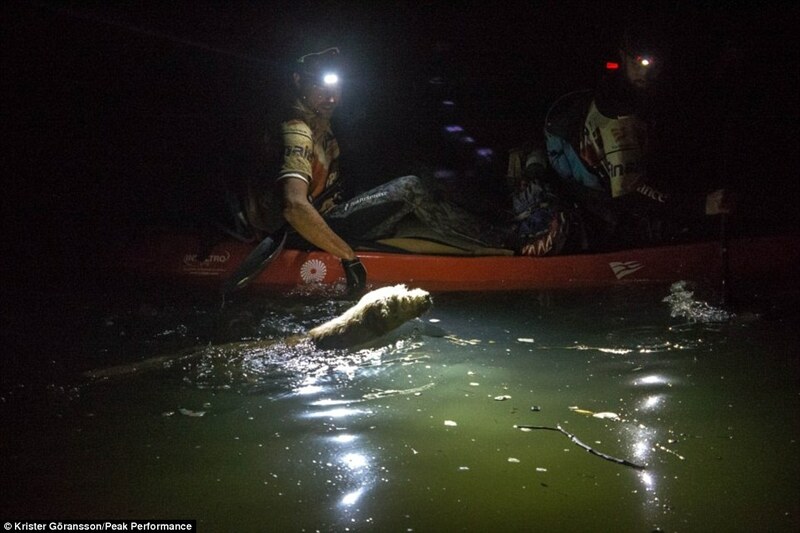 Before one of the segments of the race – a 36 mile kayak around the coast – organizers warned the team that taking Arthur along posed a risk to his and their safety. They tried to set off without him, but as they left he jumped into the water beside them and started desperately paddling. 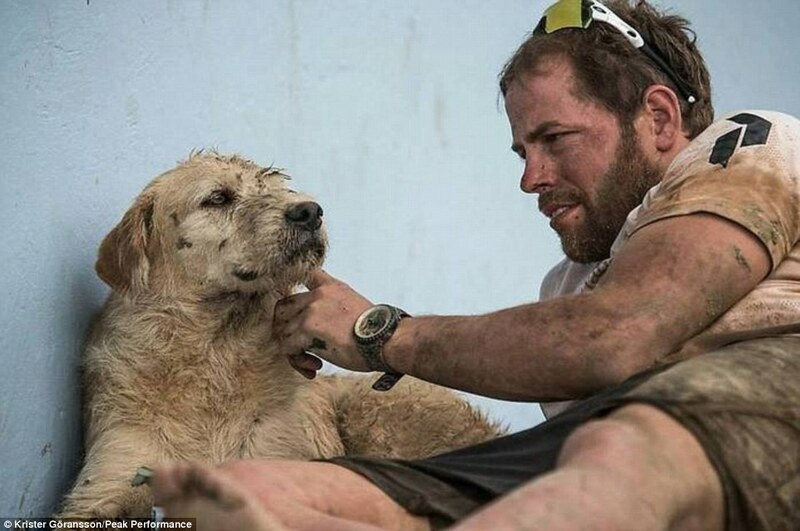 Lindord, heartbroken by the site of Arthur struggling in the water, picked him up, put him in the kayak and let him stay for the rest of the journey. The gesture prompted a standing ovation and cheers from spectators watching from the banks. ‘The team is overwhelmed and happy knowing that Jordbruksverket has approved Mikaels application to bring Arthur to Sweden. A big important piece in the work to get Arhur on the plane, is done. So far so good. But, There are [sic] still one paper to go. The team are now working hard for the very last piece in this puzzel [sic]. Previous Post: This is What Really Good Men With Character Look Like. This is an incredibly awesome true story! Great pics … Awesome Arthur!! this was a great story. i loved it. nice to know some people are kind in this world to those who cant speak for themselves. Reblogged this on A Creative Writing Place. 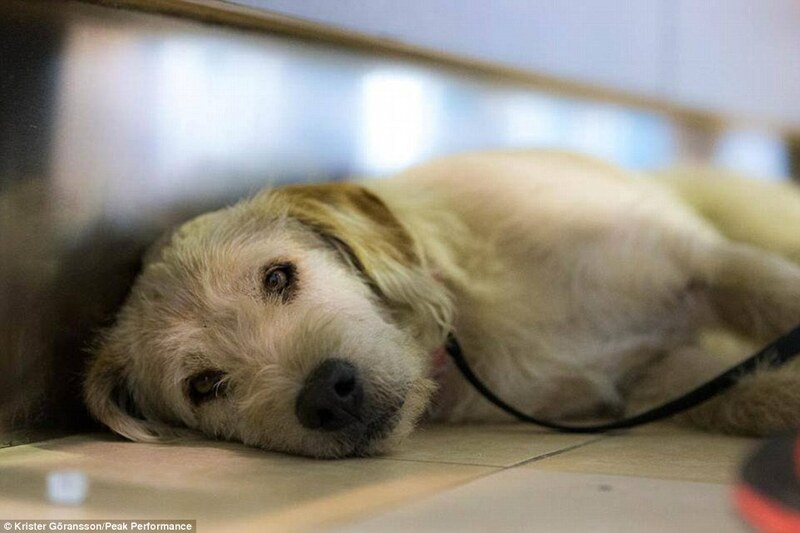 I was totally taken in by this story of Arthur, the dog. Must share it! Pardon me a second…I can’t seem to keep my eyes dry. What a wonderful story. 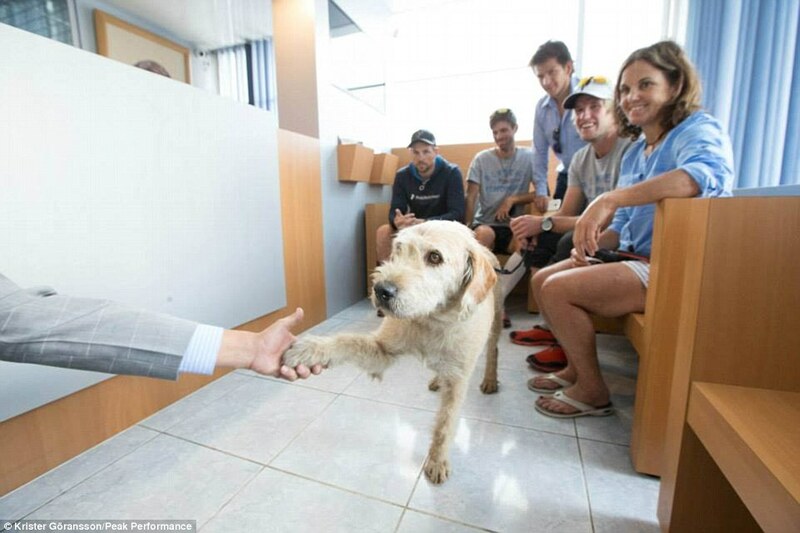 The kindness shown by the team was a wonderful thing to read about.